Great hand-bag for general use. Big enough to hold your lap-top, small enough to find your keys! 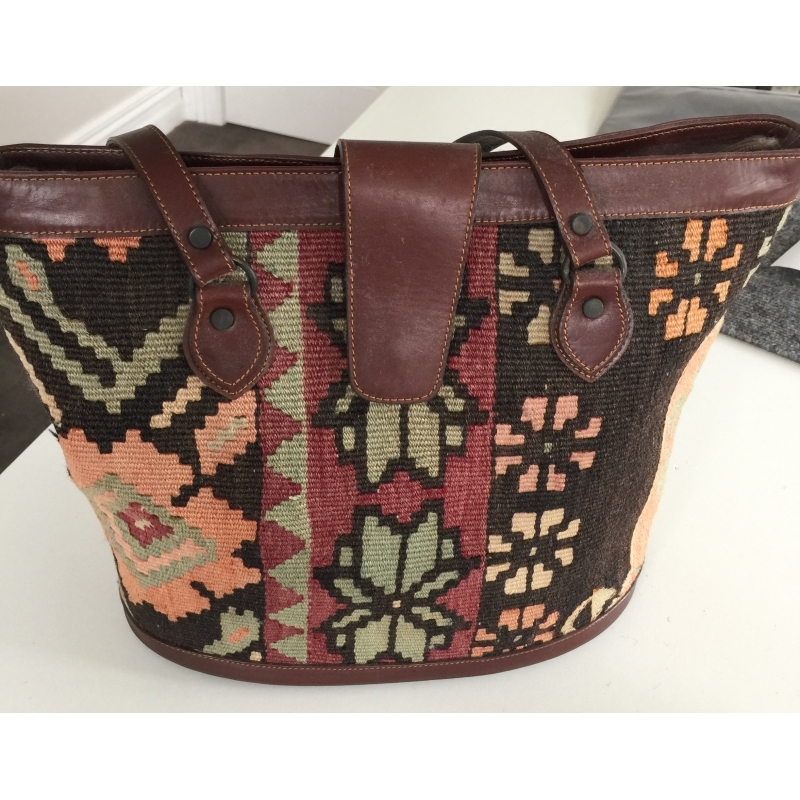 Made from fine old kilim and high quality leather. Fully lined with inner & outer zips.